Celebrity host Joe Mantegna previews this year’s lineup, including Leigh Ann Hester, the first woman ever to receive the Silver Star for valor in combat. 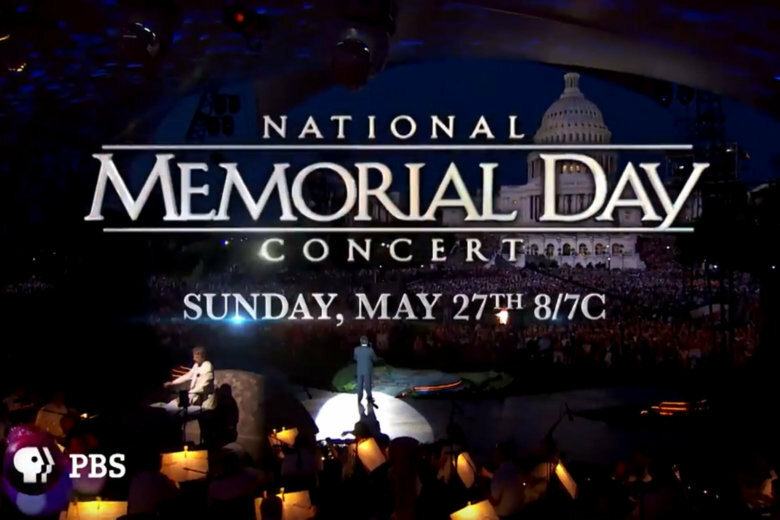 WASHINGTON — The National Memorial Day Concert is an annual tradition for D.C. residents to attend on the National Mall and for Americans around the world to watch on television. Montegna has emceed since 2002, most of those alongside Gary Sinise (“Forrest Gump”). Other celebrities include Leona Lewis (“Bleeding Love”), Allison Janney (“I, Tonya”), Graham Greene (“Dances with Wolves”), Mary McCormack (“Deep Impact”), John Corbett (“Northern Exposure”), Charles Esten (“Nashville”), Cynthia Erivo (“The Color Purple”), Megan Hilty (“Smash”), Alfie Boe (“Les Miz”) and Jack Everly with the National Symphony Orchestra. To that point, the concert is a wonderful chance to honor our military heroes, including Iraq War veteran SFC Leigh Ann Hester, who was the first woman ever to receive the Silver Star for valor in combat. Growing up in Kentucky, Hester seemed destined for military service. At age 19, she enlisted in the U.S. Army. That was in April 2001, just months before 9/11. Then came the fateful day on March 20, 2005. That’s when the firefight happened. What was going through Hester’s head during the attack? She says the historic nature of her Silver Star is an honor, but that she was just doing her job. Fittingly, the Memorial Day concert will include the U.S. Joint Chiefs of Staff with The U.S. Army Herald Trumpets, The U.S. Army Chorus and Army Voices, The Soldiers’ Chorus of the U.S. Army Field Band, The U.S. Navy Band Sea Chanters, The U.S. Air Force Singing Sergeants, The Armed Forces Color Guard and Service Color Teams provided by the Military District of D.C. The concert airs live on PBS at 8 p.m. and will be live-streamed on PBS.org and YouTube.